Are you eating the best foods? An ideal bone health diet can be tailored to help treat and prevent some of the most common bone and joint related problems. Some of us are prone to bone and joint problems, maybe due to family history, or maybe due to exercise and sporting activity. Whatever your history or problem, diet and bone health can be related. 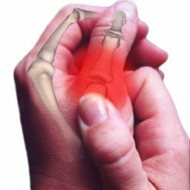 Arthritis describes a disorder that affects the bones, joint and other body tissues. There are two main types: rheumatoid arthritis and osteoarthritis. Both are characterised by the degeneration of the tissues in the joints. A good osteoarthritis and a rheumatoid arthritis diet should be high in complex carbohydrates such as fresh vegetables for their fibre content and high in oily fish so that their oils can lubricate the joints. 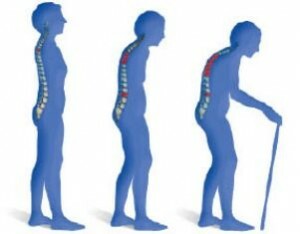 Osteoporosis is a bone wasting condition that causes bones to become weaker. There is no cure for osteoporosis but changes to dietary intake can slow down the condition. The ideal osteoporosis diet should contain foods high in calcium and vitamin D, as these two work hand in hand when it comes to them being absorbed into the body. This nutrient combination is key to a good bone health diet. Gout is a form of arthritis that usually affects a single joint. When the body is not able to break down uric acid it is allowed to build up and then crystallise causing pain. It seems to prefer the joint of the big toe but it can affect other joints too such as the ankle, knee, wrist and fingers. Foods to eat to help combat gout are fresh fruit and vegetables, as well as drinking plenty of water to help neutralise the uric acid build up. Gout sufferers should also cut down on uric acid producing foods such as anchovies, sardines, shellfish, offal and game. These are bone bending and bone deformity conditions resulting from an inadequate amount of calcium being absorbed into the system and therefore not forming bone correctly. Rickets is found in children and osteomalacia in adults. The lack of calcium absorption is due to an inefficiency of vitamin D in the diet, as this is needed to breakdown and utilise calcium. Vitamin D is found in fish, milk, egg yolk and the livers of animals and fish. It can also be made in the skin on exposure to sunlight.